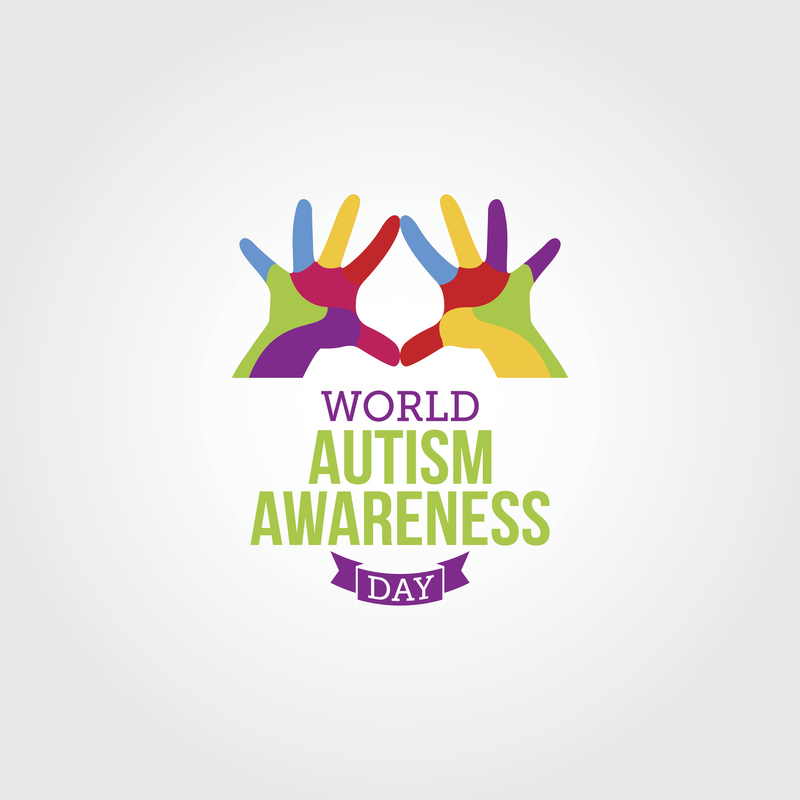 World Autism Awareness Day: How autism has changed the world? I want my child back.” This is the most poignant cry for help I hear. Nothing grabs me more than these five words. This is usually followed by, “My child was developing perfectly well until he was eighteen months old…” I see cases of autism or “regressive autism” very much like a form of torture. Parents have gone through the unknown trials and tribulations of pregnancy, delivery and the first year of life. The first birthday, pictures are snapped, first time at the beach, toes in the water, the bathing suit stuffed by the diaper. Cute. The first time on a sleigh, mittens, hat over the ears, all happiness and laughs. The first time on a plane enduring the crying and the popping ears. Embarrassment. The pictures are up on the screen saver. Life is good. This is what it is supposed to be. Within this time a new relationship forms and builds itself into our lives. This relationship is an uncommon one because we tend to develop relationships with people who are like us. We don’t have anything alike with a three-week-old other than a conscience that the little one is actually ours and must have our protection and be nurturing. We observe developing character traits, likes, and dislikes, and we know the little one is developing and so are the parents. In many ways, it is an adventure. Tarzan comes to my mind! Without pausing to think, what image is in your mind, right now? He is running back and forth from one room to another “like a maniac all day long, crashing into the couch for no reason except that he seems to be in pain.” “I wonder if that has anything to do with his constipation.” “It must have something to do with his diarrhea. He used to go 30 times a day and now we are down to fifteen times a day and no medication has ever helped.” “He was beginning to be potty trained but now he does not want to go. Even worse, “he takes his diaper off when he needs to go so we have to follow him at all times or he’ll poop behind the couch, start to eat it or smear it on the walls.” One major joy of parenting is to feed the kids, to nurture as it is termed. It is the animal instinct in us but little Jimmy does not want to eat anything anymore. Jimmy eats “only chips” or, worse, “only ketchup.” Or he eats “nothing at all.” “If we didn’t force him, he would just die and not even know it. It is as if the survival instinct is not even there.” On the other hand, “he could eat bread and drink milk all day long.” “He does not want to go anywhere. He can only be in the house, one of us always has to be here.” He “hates being in the car” or “we go on long drives, this is the only thing that makes him better.” “We get on the highway as quickly as possible and check the GPS for traffic jams because he starts to cry as soon as we stop. Even if we have been in the car for several hours he cries as soon as we stop.” The babbling of “ma” or “da” has completely disappeared. The speech had developed into simple sentences but “those have disappeared, too.” “He does not say anything. We have to prompt him to say ‘m…a’.” The facial muscles are affected. “He seems to not be able to move his tongue,” or, “he drools constantly, we have to change his shirt four or five times a day. His face seems numb like when you go to the dentist.” Sleep is commonly as disordered as everything else. Generally, “he is wide awake at 3 AM and stays up,” or, “He sleeps four hours maximum.” He roams around the house “laughing hysterically at 2 AM and we have no idea why.” “He does not take a nap and no one has any idea how he can survive on three hours of sleep.” Another mom told me her daughter had never slept longer than thirty minutes without waking up for years! Within a few months the first gorgeous year, though not without challenges, becomes overshadowed by this growing dysfunction. Both parents are coming in synch now, but even at this point of closing in on two years old (it used to be closer to three years old), it’s not unusual for one parent to still be in denial. The pediatrician who held judgment for a few months is now recommending a neurologist and it is only a matter of a few visits for the diagnosis to come; Autism Spectrum Disorder (ASD). The Diagnostic and Statistical Manual of Mental Disorders (DSM-5) has done away with Asperger’s syndrome and PDD-NOS and settled on ASD for the whole spectrum without sub-classification. There were many cases where it was apparent that “autism” should be the diagnosis but doctors would say PDD-NOS to avoid saying the “A” word. This is not the case anymore. The preceding quotes are all from parents of once vibrant, loving children suffering drastic developmental regression in speech and in social skills with increasingly reduced or absent spontaneous interaction and connection to the world around them. These are the known aspects of autism but what is not so well known is that most of these children behave the way they do because they are actually in severe pain. In my practice, I was speaking about the physical pain of these children over fifteen years ago. To me, it was simply not logical that a child would behave that way for no reason at all. Yet at the time it was considered only a behavioral matter “treated” with therapy to overpower the child including wrapping children in cold towels to subjugate them as was still seen in Europe a handful of years ago. Even today, the general population that is not involved with this ailment is not aware of the physical pain autism inflicts. Flapping, or what the community calls “stimming” (for stimulation) is often a common outward symptom to compensate for the physical pain. When it is not a total absence of physical survival consciousness, the unwillingness to not eat is often a symptom of pain, as seen in many cases. Imagine not wanting to eat day after day after day because you are in pain. Imagine not looking at your parents because it actually hurts. Sitting still hurts, concentrating to watch a cartoon hurts, and the opposite is true, too. Watching the same few seconds of a movie hundreds of times consecutively actually relieves pain. Parents believe that ‘something’ must have caused their children to change the course of their lives so radically. Vaccinations are often blamed. Though no research findings seem to officially confirm this, it certainly did not help when one of the point men of two large population studies published on the subject, Doctor Poul Thorsen, vanished with several million dollars worth of research money. He was found several years’ later living peacefully in Denmark. While it is obvious that not all children who are vaccinated have problems, how can the research be so far in its conclusion from parents’ experience? Clearly, there is a problem. Others blame Acetaminophen given liberally particularly to reduce the side effects of vaccines. The research by Doctor William Shaw, Ph. D. that it alters sulfur pathways is currently gaining a lot of exposure. The list of culprits gets longer every week; Lyme, Streptococcus infections, and even Baby Einstein are among the most popular ones. We can only hope that biochemists and physiologists put their finger on “it,” if there is one in the shortest order. I am not holding my breath. The possibilities are far too varied. I can’t see an “it” on the horizon. While we must keep on searching for a possible biological source, to me homeopathy provides not only healing but also a perspective useful to achieve greater health. Because ASD is so devastating in all of its manifestations, the official hope is to palliate some of the child’s limitations with Applied Behavior Analysis (ABA). Parents are told that ASD is incurable and that there is zero chance of a return to normal development, but now the cat is out of the bag. People blog, groups talk on social media, research is more easily available, anecdotes are followed and when parents hear someone talk about recovery then everybody rushes in. It is understandable. Parents come to me in the hope that their child can get better, a ‘return’ to the normal state of health in mind and body. This article introduces concepts and possibilities, supported by cases and examples which show that autism can at the very least be greatly helped and at times reversed.